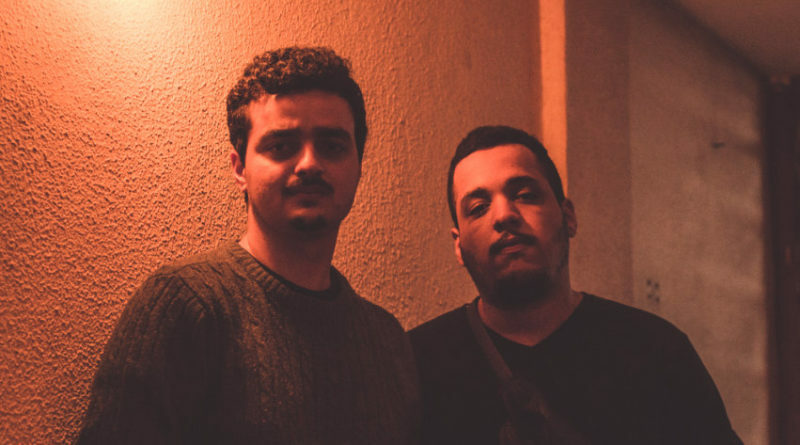 gorduratrans (Portuguese for “trans fat”) is a Brazilian noise rock/shoegaze duo made up of Felipe Aguiar (guitar and vocals) and Luiz Felipe Marinho (drums and vocals). The band’s unique sound bears a passing resemblance to fellow Brazilian group Lupe de Lupe, but there’s also a sense of operatic grandeur to gorduratrans that puts me in mind of post-rock monoliths like MONO and Silver Mt. Zion. To see what I mean, just listen to “7 segundos,” the nearly 7-minute epic opener to their 2017 release paroxismos (Balaclava Records). Thanks to Luiz for providing these answers. Really hard one. That would be Elliott Smith’s Figure 8, iI guess. We met online, in a facebook group about music in Rio de Janeiro, Brazil. Rio’s scene is composed by different small cores, or niches. Lot of different bubbles. Most of the time artists and fans from these different kind of scenes don’t mix. That would be my mom. I think my favorite show was the one we did last July in São Paulo, alongside our friend’s band, DEF. We played for 700 really excited people and it was awesome, word can’t describe how it feels.